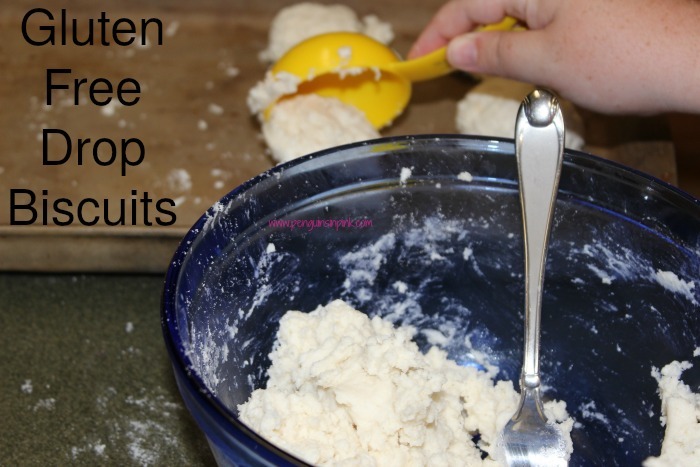 This post, Gluten Free Drop Biscuits, may contain affiliate links. This means if you make a purchase through one of these links, Penguins in Pink will receive a commission at no additional cost to you. Two ingredient Gluten Free Drop Biscuits are ready in less than 15 minutes from start to finish. These soft and fluffy biscuits are just begging to be served for dinner. But sometimes… you need a bread to complete and compliment your dinner. 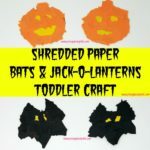 And if it’s a last minute addition then you need it to be quick and easy. 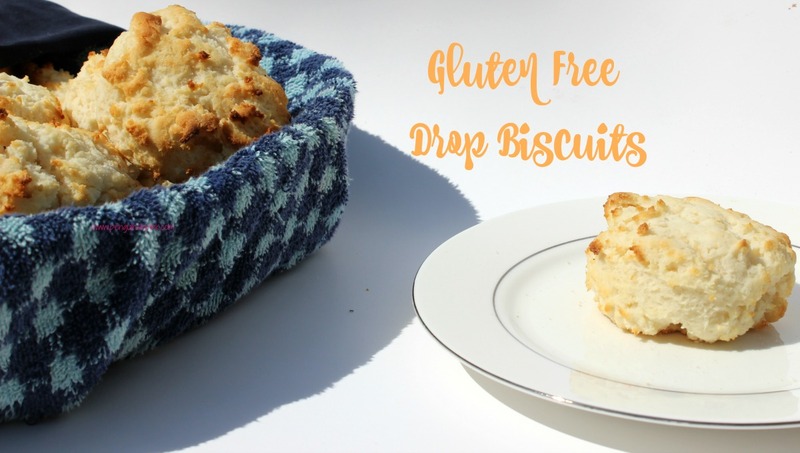 My go-to quick and easy bread of choice is Gluten Free Drop Biscuits. Why do I love these guys? Well, for one they only require two ingredients, whip up in a flash, take less than 15 minutes from start to finish to make, and are oh so soft and fluffy on the inside! Perfect for a pat of butter to melt on. Or a drizzle of honey. Ooo a dollop of jam. Yeah! So good! Or you know to sop up that soup or sauce. Whisk flour and 1 cup of milk together. Add more milk as needed to form a sticky dough. Your dough should be slightly sticky but not wet looking. Use a 1/2 cup measuring cup to scoop out biscuit dough and drop them onto prepared baking sheet. Bake 8 – 10 minutes or until lightly browned. Allow biscuits to cool for a couple of minutes minutes before removing them from the baking pan. I use Better Batter’s Gluten Free Pancake & Biscuit mix for all my baking and it already contains xanthan gum. If your gluten free pancake mix does not, and most don’t, you’ll need to add 1 1/2 tsp of xanthan gum to the ingredients. 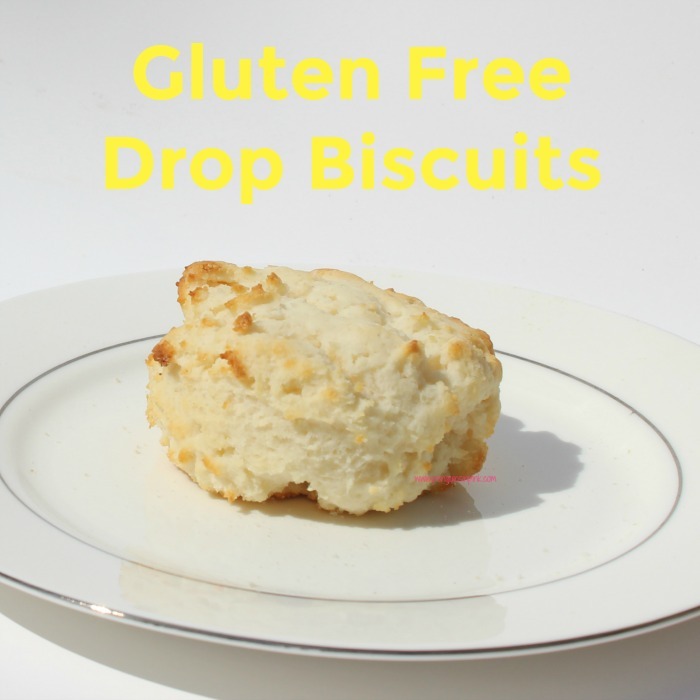 Store any remaining gluten free drop biscuits in ziptop bag in the refrigerator or on the counter. The biscuits should keep well for up to two days in the fridge. What’s your go-to bread choice? 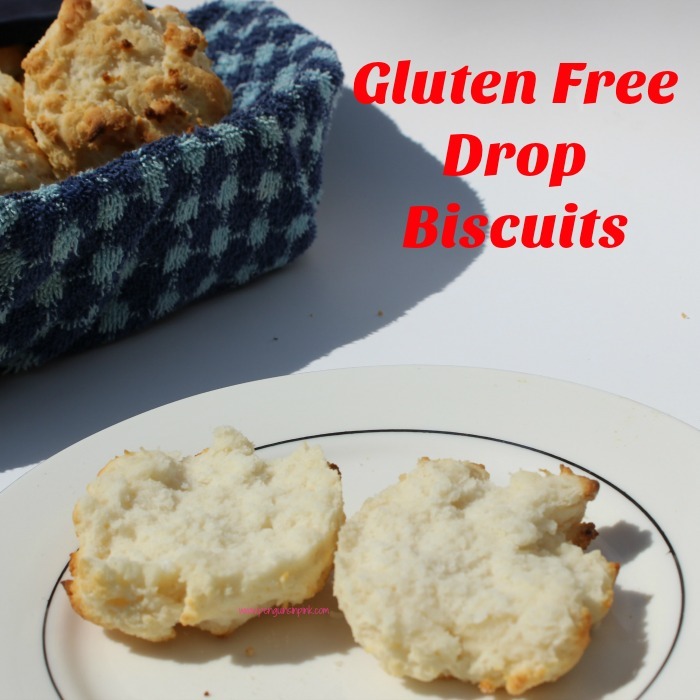 How would you enjoy gluten free drop biscuits? Bake 8 - 10 minutes or until lightly browned. I use Better Batter's Gluten Free Pancake & Biscuit mix for my baking and it already contains xanthan gum. If your gluten free pancake mix does not, and most don't, you'll need to add 1 1/2 tsp of xanthan gum to the ingredients. Looking for more delicious side dishes? Check out my Recipes: Side Dishes board on Pinterest.